Felony charges? A misdemeanor? It makes no difference. Every criminal charge is serious. In fact, a criminal conviction of any kind could severely limit your future employment opportunities or even cost you your job if you hold a professional license or work in certain occupations, and that’s just the tip of the iceberg. There is also the possibility of fines, court costs, a jail or prison sentence, a lengthy period of probation and much more to consider. With this much at stake, even on a misdemeanor DUI or drug possession charge, the last thing you need right now is a part-time criminal defense lawyer. What you do need is an attorney who focuses on this area of the law and who has had success with virtually every type of criminal case under the sun. At Greg S. Law, in Salt Lake City, Utah, we’ve dedicated our practice to criminal defense and criminal defense only. We’ve built our reputation in this area by providing ethical yet thoroughly aggressive defense representation. 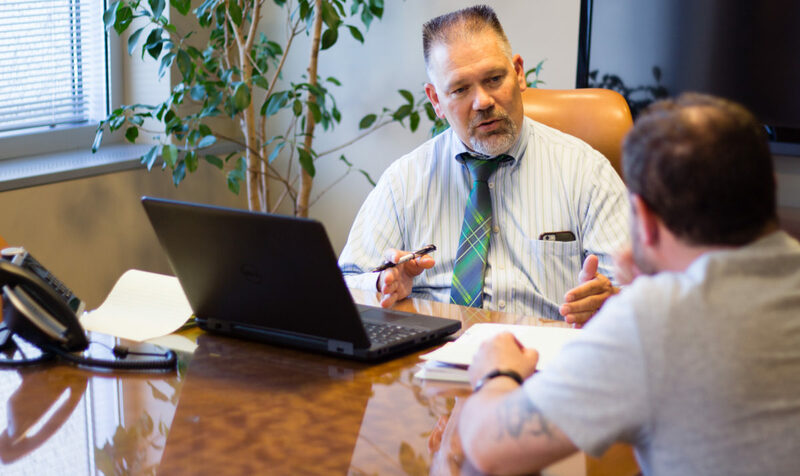 Our approach has enabled us help our clients minimize and even avoid the consequences associated with serious criminal charges, time and again. Why should you consider trusting your defense to us? We offer unique knowledge, experience and insights into the criminal justice system. As a former police officer and an experienced criminal defense lawyer, Greg S. Law knows when law enforcement personnel and prosecutors have made mistakes or violated your rights. We fight hard to protect our clients every step of the way. We never skimp on preparation, and we never concede anything to the prosecution without first determining there’s no other realistic alternative. We are not afraid to take any case to trial whenever that becomes necessary to protect a client’s reputation, freedom or future. While many attorneys and law firms make similar claims, few actually have the record of trial results to back it up. We do. We have successfully represented police officers and attorneys in several criminal cases. Although law enforcement personnel and legal professionals may be less likely to find themselves in trouble with the law, they know whom to call when they do face criminal charges. Choose The Firm Headed By A Former Cop. Call Today. Greg S. Law Facebook Page Here.